I've seen the awesome "Currently" link up many times on some of my favorite blogs around the web, but I've never joined the fun. It's been hosted at A Mama Collective, but starting next week can be found at Hannah's Joyful Life. Fast asleep during church yesterday. Thinking about // The 3,000 books that need to be sorted and find a new place to reside in our crammed house. What costumes to make for our family for Halloween. How I need to weed the yard and cut some mega trees out of our fence line. 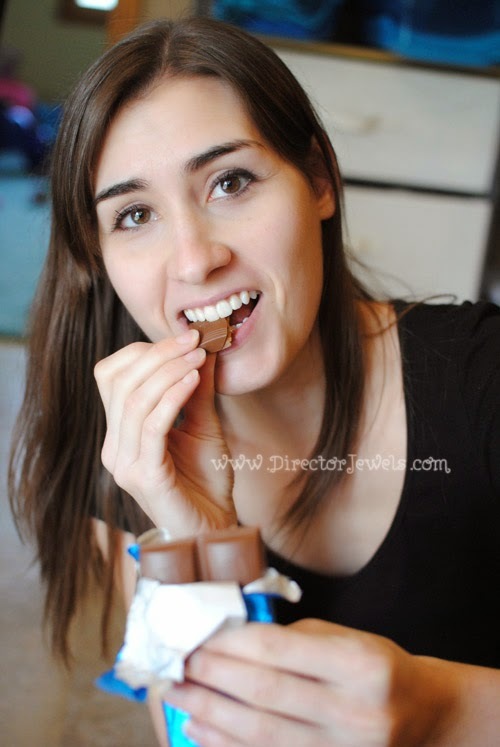 How delicious Lindt chocolate tastes, especially late at night while blogging. How I wish Addie would decide nurseries are okay so I can quit hating them. Listening to // The Broadway cast recording of Beauty & and Beast. The movie soundtrack to Oklahoma. By Faith by the Galkin Evangelistic Team. Watching // Anne of Green Gables. It is every single bit as beautiful as I recalled and I feel that all entertainment should be this heartwarming and breathtakingly brilliant. The scope for the imagination in average television is sorely lacking. Thankful for // A lower-than-expected quote to fix up our roof before winter (such a huge answer to prayer). The opportunity to homeschool my children, even if I have yet to achieve a balance even for preschool. My parents' and in-laws' dryers, since mine is not working. Enjoying // Sprouted organic cereal (not an affiliate link). Because I'm battling tooth decay (sigh), I'm trying to avoid all grains that are not sprouted because of their high phytic acid content. I enjoy eating healthy veggies and meat, but sometimes...you just need a bowl of cereal. Photographing // Kids doing cute things. My baby stroller and car seat to sell on a Facebook swap page (the car seat will expire before we could have another baby to use it). Making me happy // Shopping for food at Trader Joe's and Whole Foods. If anyone could inspire these brands to bring a store to my hometown, I would be super appreciative. Right now, I visit on Wednesdays when we're making a trek to our awesome chiropractor anyway. Okay, so we aren't ALL quite that excited about Trader Joe's shopping. Loving // That Lincoln has slept in his bed all night more than half of the nights in the past week. The fresh flowers on my table (scheming about buying more). Peach and strawberry smoothies. Blissful, beautiful sleep...which is where I am headed now, friends. What are you currently up to? I hope you have the loveliest week! 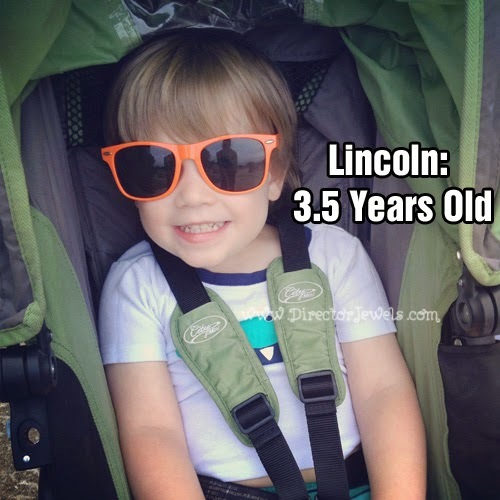 Somehow, I managed to completely miss Lincoln's half birthday this year. I think that means childhood is speeding by too fast, so someone please send a memo to this little man to quit growing so fast already. I know he won't listen to you, but it's worth a try! I don't even know where to start...it seems like the past few months have held some of the biggest leaps in Lincoln's life. And while that's a good thing, it's just hard to believe how much (and how quickly) he is changing. Lincoln, you talk so much now. It is a constant chatter - to yourself, to mommy, to Addie, to anyone who will listen - or your toys if no one will. You have a strong opinion about most of the everyday decisions in life (such as when to get in the car, brush your teeth, eat your dinner, put your plate in the sink, pick up your toys) and you're starting to come up with excuses like "I'm busy right now" or "Not yet" when asked to complete a task. You're able to tell us a lot more about what you're feeling - "that makes me sad!" or "I'm fwustwated!" 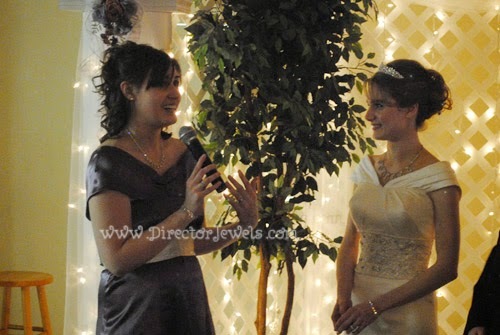 - which is very helpful to us as parents, especially after your speech delays that had us all confused and frustrated at one another when you were younger. One of my favorite words right now is "willn't" - it means "won't." I told Daddy not to teach you the real way to say it. You want to help mommy and daddy do everything. If we say no, you cry as though your heart is broken into a thousand pieces. I didn't think the day would come, but you don't play with cars and trucks the way you once did. Don't take that the wrong way - you still like them, but now there are schemes and plans and adventures happening when you do decide to sit down and play with your overflowing bin of cars. I want to hop back in time for a day and drive cars with you endlessly, mindlessly, for the sheer joy of seeing the wheels turn. I wasn't planning to cry while writing this post...but it's too late, now. I didn't know how much I would miss having little cars strategically lined up across the entire couch for days on end. You love reading right now. Your favorite books are Berenstain Bears, Little People Lift-the-Flaps, and all of the tiny lift-the-flap board books (especially classics like Two Bad Mice, Peter Rabbit, and the like). I can sometimes find you with a stack of books, just reading to yourself, and that makes my heart smile. Even busy little boys can love reading, buddy. We started preschool a few weeks ago, and while we may be a few days behind at the moment, you (for the most part) love it. You memorized Genesis 1:1 ("in the beginning, God "macrated" the heavens and the earth), learned to draw 0's and 1's, and love the color blue. 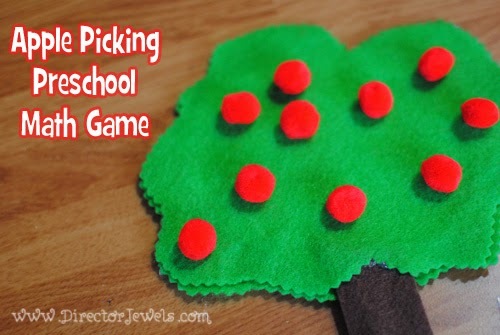 Some of your favorite school activities are coloring with markers, playing the apple tree counting game, and putting stickers on your daily chart. I'm excited about homeschooling, because right now you have such an enthusiastic desire to learn. You are no longer nursing. We hit the milestone of weaning a few weeks before you were three and a half. I had a lot of mixed feelings about it, but I was starting to feel pretty worn down from nursing two kids for almost two years, and you more or less forgot how to latch (which meant it was painful for me). 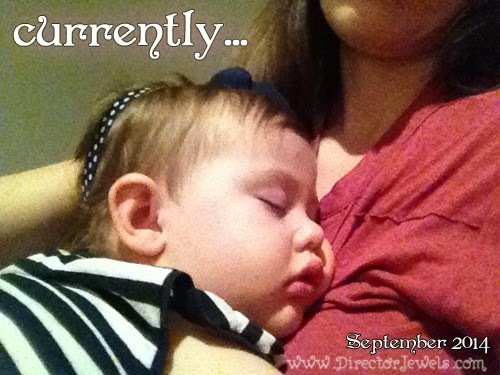 For the last few months, you nursed maybe once every other day or two. It wasn't very difficult to distract you from the idea once I decided that we had probably reached the end. I am proud that we nursed until you were well over three years old, and will never apologize to anyone for it. 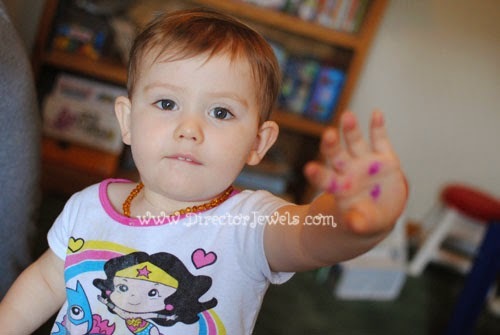 You are always up for an adventure, and if mommy gets dressed before 10am, you chirp "Mommy! Where we going today?!" Some recent favorite adventures were to Texas to visit your baby cousin Jackson, Deanna Rose Farmstead this summer, to see your first musical - Chitty Chitty Bang Bang at the Coterie Theatre, and to ride Thomas. You know all the basic colors and some others like silver and gold. You can identify most shapes without blinking. You can count almost to twenty and recognize at least 50% of the alphabet letters (and know a lot of their sounds - you definitely know the sounds of R, S, and T). Daddy thinks you'll be ready for basic math skills in the next few months. When asked your name, you can recite your full name - but still consistently tell people that your name is Inky. And I love that. Your favorite TV show right now is The Octonauts, and "Captain Barnacles" is your second identity. You have declared Addie to be Peso, Mommy to be Dashi, Daddy to be Shellington, and mommy's parents (Bun and Pa) to be Kwazii and Inkling. There are some days that both you and Addie only refer to me as Dashi. It's kind of hilarious. Your Sunday School teacher even recently wrote "Captain Barnacles" on the paper you brought home from class. When you got to meet the Octonauts, though, you were scared out of your mind! I love to hear you sing - you know a few real songs, but usually just string words together in song. You and Addie remain best pals, but now that she's old enough to (sort of) fight back, I am playing a constant referee. You guys are constantly chasing, pushing, poking, sitting on each other...and so on. You also fiercely love each other and can't stand it if the other gets to do something without you. Your sleep pattern has improved a lot since we started chiropractic care earlier this year. At the beginning of the year, you ended up in our bed every night - usually by 1 or 2am. Lately, you've been sleeping through the night (from about 8:30pm - 7:30am) or at least only waking once or twice - and staying in your room after waking. Until we get you potty trained at night, we'll probably deal with this for awhile. But overall - it's much improved and you are getting better rest. Food is a battle, unfortunately. After Addie's early childhood tooth decay, I have been extra cautious about what we are consuming and have been watching your teeth for any signs of decay. You have a couple of spots on your front middle teeth that are showing some early markers for caries, and I can't even stomach the idea of going through another dental surgery in our family right now. So you are on a very limited diet of only whole foods with limited grains and dairy, in an effort to stop and hopefully reverse the decay before it progresses into a large problem. You are taking a multivitamin and cod liver oil supplements daily, and don't fight these as much as you did at the start. Eating veggies is a battle, but Daddy taught you "the water trick" (or, swallowing a small piece of food without chewing) and now I can get you to eat a few bites at each meal that way. You have a mix of clothing ranging from 3T - 5T. Most of the new shirts I'm buying for fall are 5T and the pants are 4T (though they are a little long still). You weigh about 40 pounds and will actually stand on our scale at home now to see the number. I don't have words for how much I love you, and I hope that you know that even when your frantic, headlong enthusiasm frustrates me or scares me to death. We're running toward age four at a very unbelievably fast pace, and while I'm so excited to watch you learn and grow and fly...it terrifies me, too. I don't know how to be a four-year-old's mom yet. I guess we'll just take it one day at a time, when we get there. You're my very favorite boy - and it melts my heart when you tell me that I'm your favorite girl, too. I hope I get the privilege of holding that title for a long, long time, Lincoln. Disclosure: This post is sponsored by Lindt HELLO, but my love for chocolate and all opinions expressed are my own. You never know when you might meet someone amazing who will end up being a friend that sticks with you all through life. I've shared many times before that I met my husband at a community theatre, but the truth is - he's not the only theatre person who has made a big impression on my life. There's also my friend, Kayte. I met her at the theatre, too - in a bathroom. It's true. The first time I ever spoke to this girl was when we somewhat awkwardly had our first encounter in a restroom during the run of my first community theatre endeavor, Fiddler on the Roof. She was playing the violin in the orchestra pit. I was playing a Russian peasant. 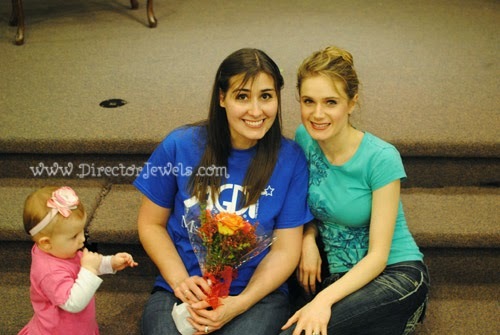 We went on to have many amazing theatre adventures together. 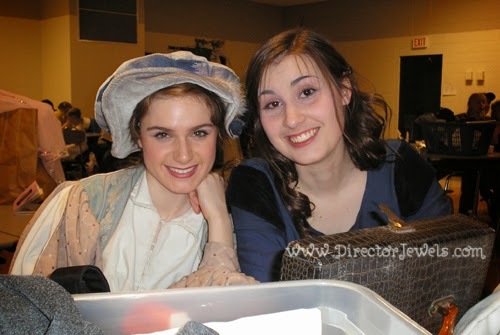 We were cast as lead (her) and understudy (me) in a show the next spring - that was when our friendship really unfolded, as we both learned the role and relied on each other for hair and makeup help, while inventing many ridiculous backstage inside jokes. The next thing we knew, we had developed this amazing friendship. 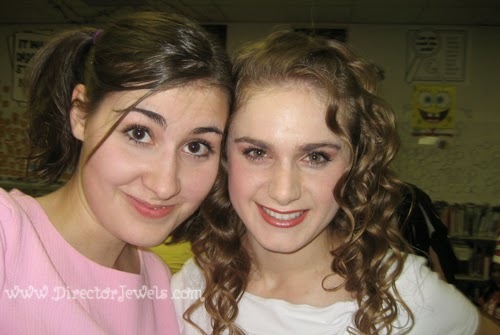 I talked her into doing hairstyles for my drama student performances (which she's still doing, 2-3 times a year.... over eight years later). We spent hours lying on top of my car in the theatre parking lot talking about boys. We auditioned for another show together and happily played a quirky bird and a sassy kangaroo opposite each other (and it was during that show that my hubby Andrew came along). We found each other through the theatre, but our friendship has way outlasted the time when we were constantly performing in shows together. 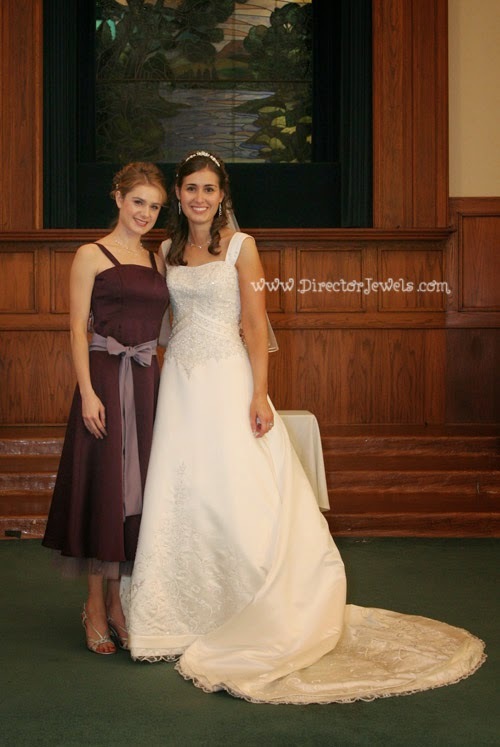 We were bridesmaids in each other's weddings (that's your cue to say "awwwww"). We might not see each other as often as we like, but we do try to make it a habit to see each other every now and then - whether it's when Lincoln needs a haircut (she's awesome and cuts it for me regularly), or a drama performance, or when I coerce her into being in another show with me (the last time was 2011...we're about due). She also reads my blog, so *wave* HI KAYTE!!!! I WROTE ABOUT YOU ON THE INTERNET. Hehe. And all of this, you guys? Was because I said hi to this girl in a bathroom. A BATHROOM. So unexpected...yet so awesome. Have you ever been afraid to make a connection with someone or something new because you're not sure how it might turn out? Next time that happens to you, I want you to remember my story. If I met one of my best friends in the world in a bathroom, anything's possible. I even have an idea for you that will almost certainly not fail: go out and buy some of this new chocolate from Lindt and give it to someone new you meet. If we had had chocolate in that bathroom, who knows, we may have just skipped the rest of the show and chatted the night away. Writing about delicious chocolate is maybe the best job I've ever been given, and it's not at all a ploy when I tell you that this stuff is seriously divine. Available in sticks, bars, and mini-stick (individually wrapped) bags, you can use it to make a connection with just about anyone you encounter. 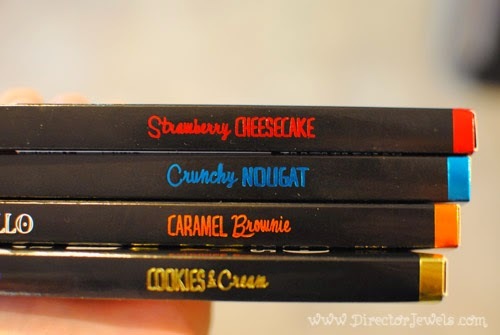 I can't decide which is my favorite - I think it's a toss-up between Caramel Brownie and Strawberry Cheesecake, but the Crunchy Nougat and Cookies & Cream are out of this world, too. It's just darn good chocolate. The surprising fillings are just an added bonus. Lindt HELLO is the hip, trendy brand in premium chocolate, that inspires connections and conversations everywhere it goes. Believe me, if somebody asks for a chocolate recommendation, this is what I'm suggesting. It's available nationwide (I found mine at Target)! You can celebrate the awesomeness without even tasting the chocolate (though that sounds way less awesome than eating all the Lindt chocolate) by entering the Lindt HELLO Sweet Connections Sweepstakes! All you have to do is enter your email address for a chance at great prizes. The sweeps are already in progress, but here are the current and upcoming prizes! Enjoy a shopping spree with the girls + yummy Lindt HELLO Chocolate! Lindt HELLO treats you to a pampered night in – movies, books + chocolate! Reconnect with your bestie at the spa for a day + Lindt HELLO chocolate to sweeten the deal. You can find all the rules and submit your entries on the Sweepstakes page. Kayte! I has chocolate! Come eat it with me! You can also catch a fun, cheeky "It Started with HELLO" romantic comedy web series on Youtube, with new episodes airing between now and October 9! The series is in partnership with Ashley Tisdale and features couples as they make their first connections - inspired, of course, by the personalities of the new Lindt HELLO chocolates! 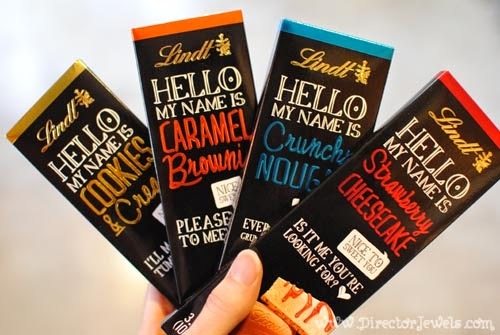 Have you tried Lindt HELLO yet? If not....why not? Go grab some, and share it with a stranger. I don't know if I recommend searching for your new best friend in a bathroom, though. I think I got super lucky in that department. Many thanks to Lindt HELLO for sponsoring today’s story, and giving my readers a chance to win really sweet prizes! For more information, you can read my Disclosure Policy. Lincoln - he "helped" Daddy mow the lawn for the first time this weekend. 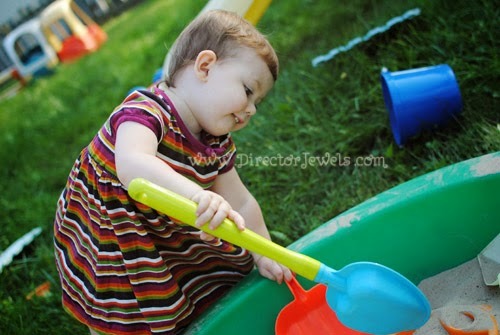 Addie - the sandbox was great fun until they started dumping sand on each other's heads. Disclosure: This post is sponsored by Global Influence. All opinions expressed are my own. We went to the park yesterday. The weather was nice, we were out of things to do inside, and the park is two blocks from our house. It was really a perfect solution - and I don't know why I don't resort to it more often. Lincoln and Addie were thrilled to be running around outside. They collected sticks, dug in the dirt, and played pirates with a neighbor. Sometimes I just get so caught up in trying to accomplish everything that I forget how magical a simple thing like a park trip can be to a little child. Life with little kids is a lot of things - busy, hectic, and exhausting at times. It can be hard to remember that all of the little in-between moments - like a snuggle at bedtime or a kiss on a bruised hand or just walking to the park - are the things that we should cherish the most. 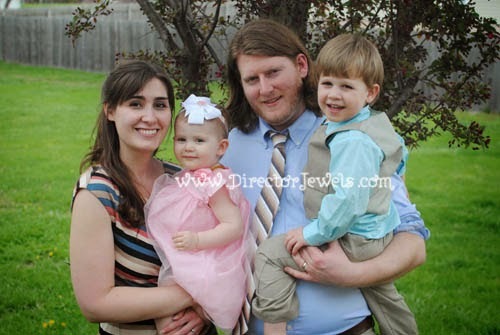 My family's life is beautiful - and I don't want to miss out on a single awesome moment. How do you appreciate the little moments and live beautifully with your family? 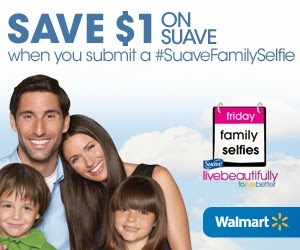 Suave has issued a Fall Family Selfie challenge and there's a sweepstakes involved - so you will have a chance to win a $175 Walmart prize pack. Six winners are chosen each week! Want to enter? Here's how! 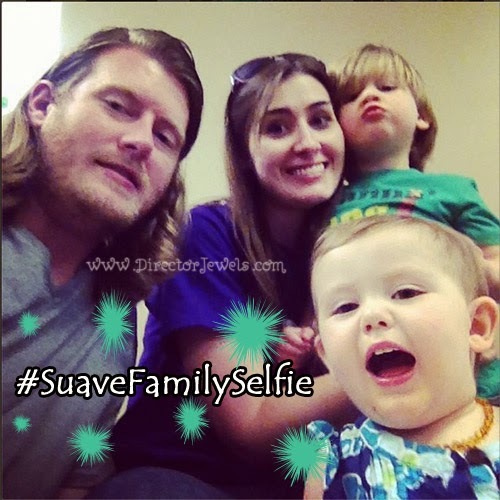 Enter to win a Suave Friday Family Selfie prize pack by snapping a photo of you and your family and posting it to Instagram. Step 3: Fill out this form and submit your Instagram link. *To get your Instagram link visit instagram.com, log in, and find the link to your photo. It will be in the format of http://instagram.com/p/YOURPHOTOID. *To retrieve the link from your Instagram mobile app, go to your profile picture on the app, click the "..." in the bottom right hand corner, and then select "Copy Share URL". You can enter the sweepstakes weekly to increase your chance of winning. And, even better - once you have submitted your image here you will receive a coupon via email for $1 off Suave at Walmart. We always have Suave Coconut shampoo in our house - it smells so yummy! Disclosure: This post is sponsored by Global Influence, but all opinions are my own. For more information, you can read my Disclosure Policy. Last year, I participated in a really fun Busy Bag Swap with some other local toddler and preschool moms. It was great - groups of ten mamas each put together ten of the same busy bags and we met up to exchange them. Everyone ended up with ten totally different projects and activities to do with their kids. I actually participated in two groups, so I came home with twenty bags! 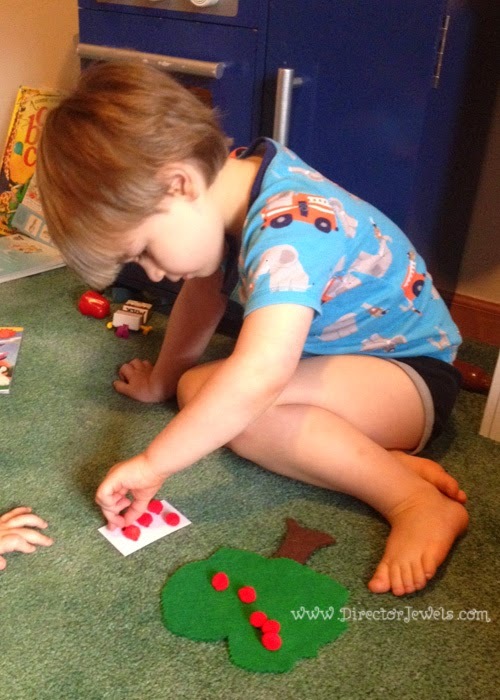 My kids were both a little young to do any of the activities back then, but I knew I would be glad to have the resources when I started homeschool preschool this fall - and I was right. One of the bags I made for the swap was based the Apple Tree Number Bag from Motherhood on a Dime (I found it - of course - on Pinterest). Because I'm an overachiever, I made my trees out of felt instead of paper. I thought they might hold up longer with the toddler crowd, and felt is one of my favorite craft mediums, so I figured - why not. The number cards, which feature a number character on the front and corresponding dots on the back were printed and laminated. 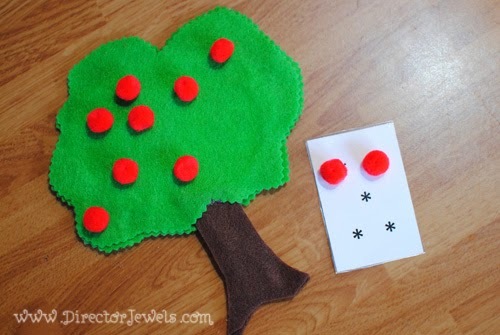 My kids are crazy about "apple trees" now that we are in the swing of doing preschool activities regularly. Addie doesn't grasp that there is a purpose to the game and mostly just throws the pom-pom apples around the room, but Lincoln loves it. 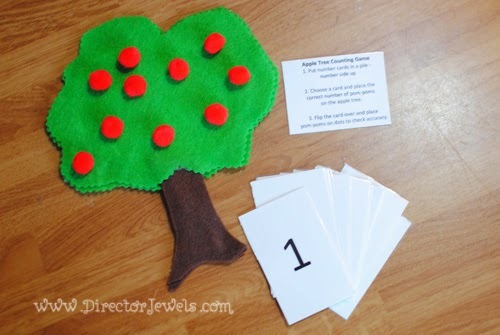 The basic game premise is: place all the apples on the tree, draw a number card from the pile, identify the number and pull off that many apples, then flip the card over to match the apples with the dots and see if you got it right. 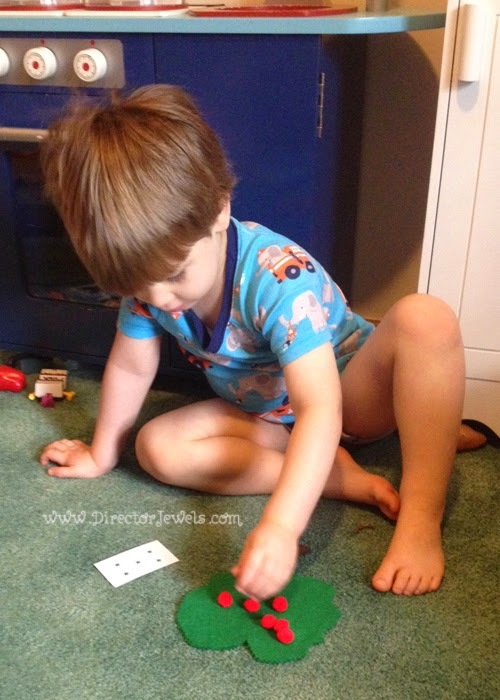 He usually gets bored after he has done 3-5 cards, but he is genuinely enjoying learning about counting and numbers, so I have no complaints! It was a really easy craft to make and is stored so nicely in a gallon-size Ziploc bag. One day I might remember to take a busy bag with me when we go to a restaurant, right? For now, we're at least having fun with them at home. 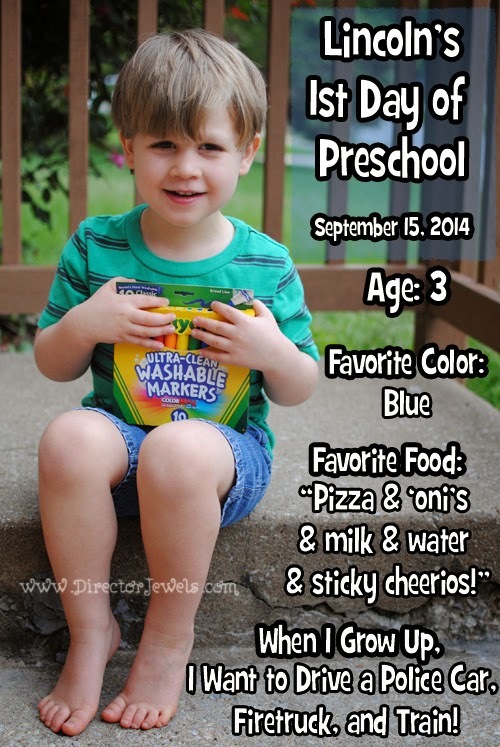 For more toddler and preschooler busy bag ideas, check out my Busy Bag Pinterest Board! Do you want to know the last time I really styled my hair? It looks like somehow I managed to avoid ever posting my Easter recap, even though I have the photos completely edited and ready. How awesome is that? It may be a rare occasion that I have the chance to actually fix myself up, but thankfully it's possible to look like a celebrity (I'm totally pulling that off, right?) without spending like one. 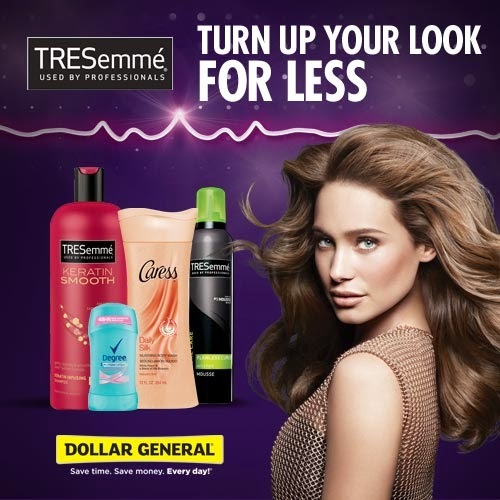 Thanks to Tresemmé® and Dollar General, it's easy to ramp up my own unique style and still stay within our budget. Next time I have an event to prep my hair for, I'm definitely going to be checking out this style gallery for inspiration. My styles are basically straight or curled and I'm sure there are more options in the world than that! If you have any beauty tips (or just want to yell at me for only doing my hair a few times a year), tweet them to me (@directorjewels) with the hashtag #DGStyleTips - I'd love to hear what you've go! This post is sponsored by Lunchbox, but all opinions are my own. 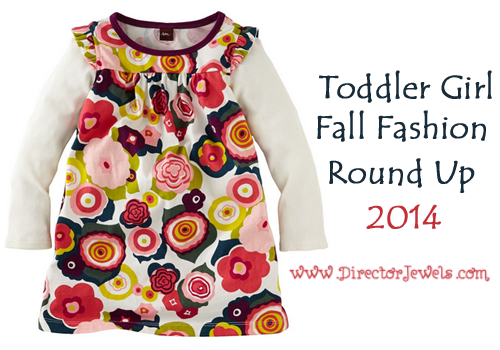 Last year, I put together a baby girl fall fashion round up and said to myself, this is so fun! I'll write these posts all the time! Here we are, a year and a month later and I'm finally making my second round up. I will let you decide if this is just a better late than never scenario or a fall-clothes-are-the-cutest-so-no-one-cares situation. 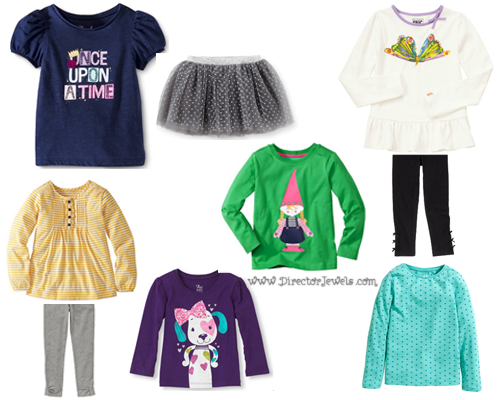 Either way, here are my top picks for fall fashion for toddler girls this year. Will I be purchasing any of these clothes for my own Adelaide? I don't know. It's unlikely, since most of our clothes come from consignment sales! But that doesn't mean I can't dream. Addie's sense of style (okay, my sense of style as portrayed through her) is all about being girly without turning too impractical. She primarily wears dresses around our house, and they are made out of comfy fabrics (especially knit). 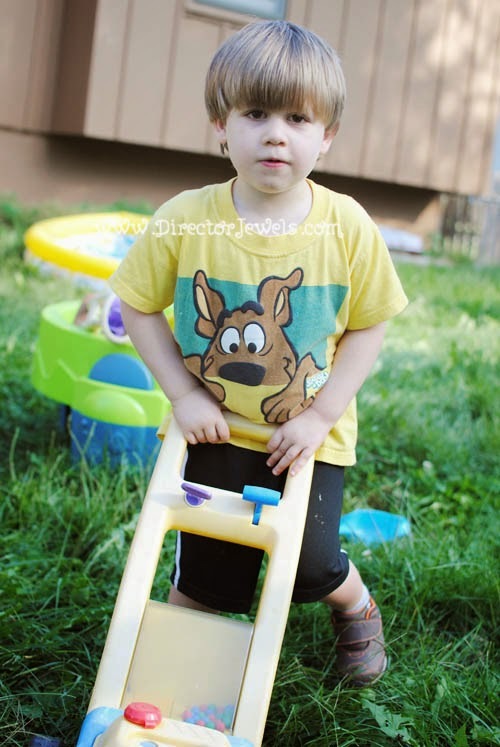 No kid needs to wear stiff clothing while trying to play, right?! When she's not in a dress, Addie's fashion options are still pretty simple: comfy, cute shirt and leggings. Because leggings on a chubby baby are fantastic. 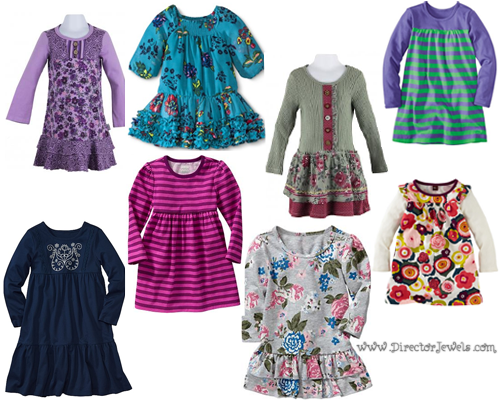 What's your favorite piece featured here - or where's your favorite place to shop for kid's clothing? Disclosure: I received a set of Clever Crates for review, but no other compensation was received and all opinions expressed are my own. Fall is finally here - yay! Now, if only the weather would cooperate and cool down right away for me - that would be awesome. 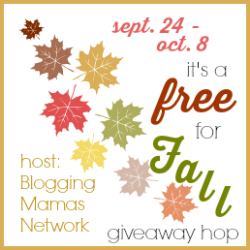 I've joined with a bunch of other amazing bloggers to bring you a fall-themed giveaway hop. Each blogger in the hop has a prize for you worth at least $25, so don't forget to hop around to them all in the linky at the bottom of this post. If you follow me on Instagram, you probably have noticed that I talk a lot about how I am always working on organizing my house. This is partially because I have too much stuff and too many projects. So I'm really excited to tell you about a recent find that has made my organization just a little bit easier: Clever Crates. These crates, ranging in size from 35 lb capacity to 132 lb capacity, are an easy way to organize and transport household items. They have a unique lightweight and collapsible lift, pop and pack design - so when these containers are not in use, they fold down and can fit in tight spaces. That is my kind of organizing tool. At first, I thought this design seemed too good to be true. I've never found a folding crate that actually seems sturdy enough to hold anything of significance, but these crates have been given my stamp of approval. 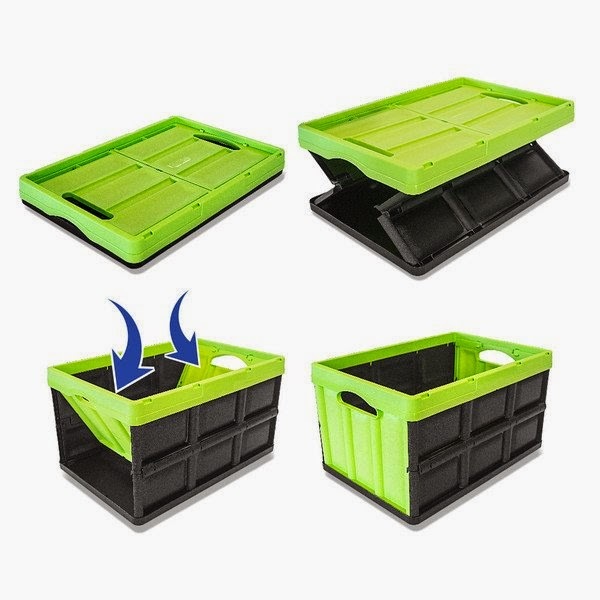 Made from durable, reusable, sustainable and recyclable material, these crates are easy to clean, easy to use, and easy to store. In my house of toddlers, that's definitely a win. 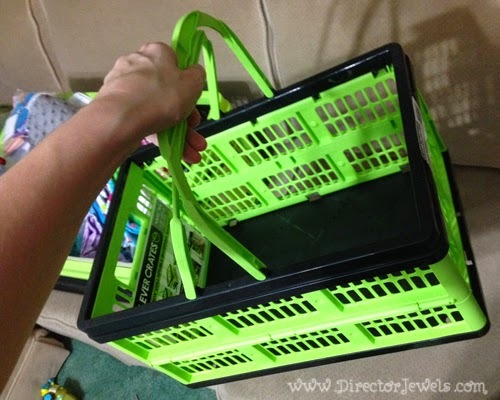 I'm forever forgetting to bring my reusable bags to the grocery store, and I love the idea of using Clever Crates for this task - they would easily fit underneath a cart and stay out of the way while grocery shopping. So far, our primary use for the Clever Crate is storage in our home. 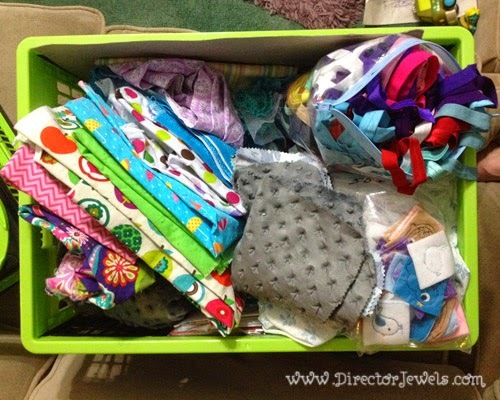 We're keeping some of our preschool supplies in one of the small baskets (makes it easy to transport from room to room), and I have used my large crate for current sewing projects and supplies. These projects were formerly thrown all over my kitchen table, so this is a definite improvement. 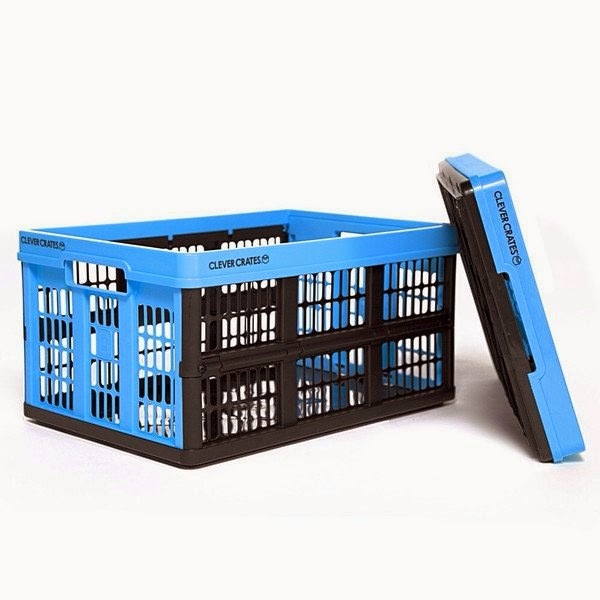 The Clever Crates are available in a variety of colors. They range from $9.99 - $19.99 (depending on size) and are available online here or at some North American retailers. Sewing organization for the win! Don't just take it from me, though. Take a peek at this video - you can see the Clever Crates in action. The video is actually what convinced me to give them a try! How would you use a Clever Crate? 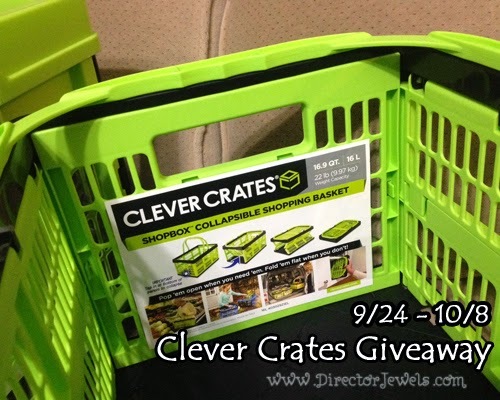 One Director Jewels reader will win a set of 3 Clever Crates baskets! This giveaway will end on October 8 at 11:59pm EST. This giveaway is open to US readers only. Once you've entered this giveaway, make sure you hop around to all the other participating blogs for more chances to win accessories for your stash! Disclosure: So Easy Being Green, Viva Veltoro, the Blogging Mamas Network, and the Free for Fall participating bloggers are not responsible for sponsors who do not fulfill prize obligations. I received a set of Clever Crates for review, but no other compensation was received and all opinions expressed are my own. For more information, you can read my Giveaway Policy and my Disclosure Policy. Disclosure: This post is sponsored by BuyCostumes, but all opinions (and my love of playing dress-up) are my own. The world of imagination is unbelievably beautiful. My kids are started to reveal their love for pretend play to me, little by little, and I am so excited about all the adventures they are going to have as they grow up together. A lot of people scoff at the idea of letting a kid out of the house in a princess dress or Mario overalls, but I say this: they are not going to have this amazing sense of adventure forever. When a person grows up, they tend to never reclaim the magic of putting on a costume and becoming someone else - even if it's just for a short time. My background in extensive imagination, followed by acting and directing has helped to retain my personal fearlessness at appearing in public dressed as Princess Leia or Princess Peach. 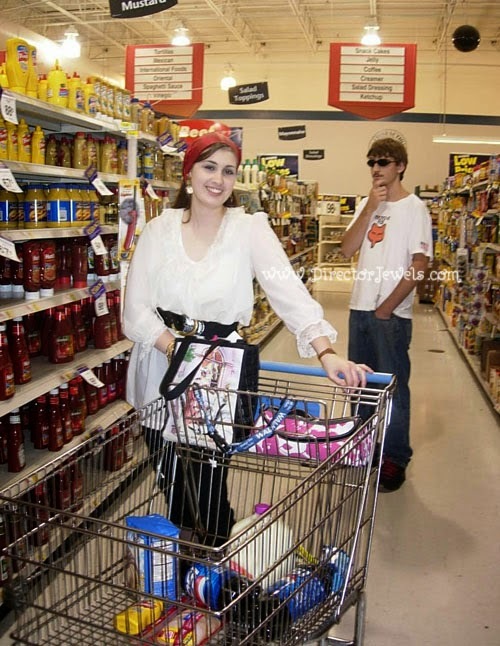 When I was a teenager, I was usually the ringleader of costumed excursions around the Midwest. so I will leave her nameless here. Hehe. 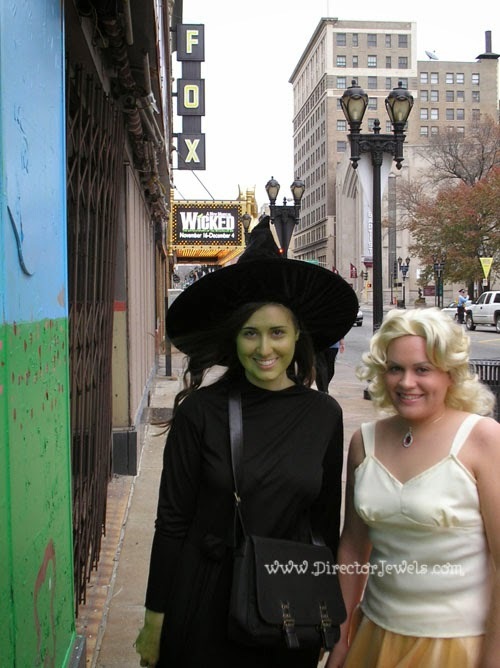 There was that time I convinced my dear friend that the only way to see Wicked was in full replica costume, including green makeup. The people in the row behind us were a little bit concerned when I sat down with that hat (I took it off for the show). We were actually told in the lobby after the performance that we "did a great job." That was an unexpected ego boost for a couple of kids who had been sitting in an expensive seat for three hours. My Phantom of the Opera dress has seen a lot of action, as I wore it to multiple events: a performance of the show in Indianapolis, the movie release here in Kansas City, and a tea party I threw for some 8-year-olds when I worked for the library. 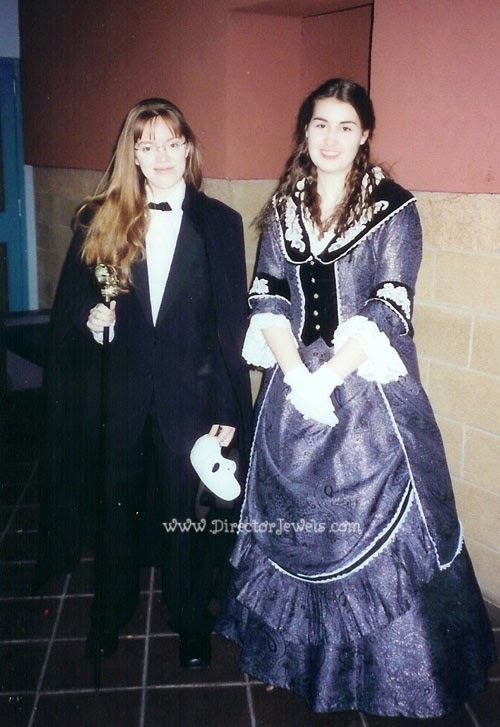 The best, though, was when I was joined in this endeavor at the movie release by my friend Holly as The Phantom. This was a couple of years after we had put on our own full-scale (for poor teenagers) production of Phantom in the barn in my parents' backyard, so it was kind of like reprising our roles. Totally worth all the strange glances and comments. Totally. and was probably there this day, and it's probably good this was not the day we met. 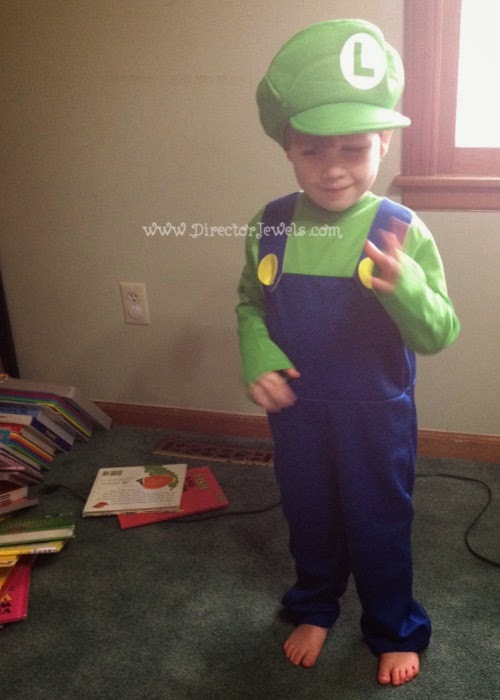 Maybe you hesitate to make a costumed appearance because you don't have any costumes! Don't let that stop you. Costumes are available year round, but right now you'll likely find a much larger selection since Halloween is coming up soon. You can save 20% on orders over $50 at BuyCostumes right now (use the code afchalloewen2050 for the deal). Plus, now is a great time to order because of the I Want To Be Guarantee - which allows you to exchange for a different size (with no additional shipping costs) for costumes and accessories purchased through October 31, 2014. You can read more details here. It's really not necessary to have a specific event to wear a costume, although that is what inspires a lot of people (think: Halloween, when more people than normal are willing to look like a crazy person an imaginative soul in public). 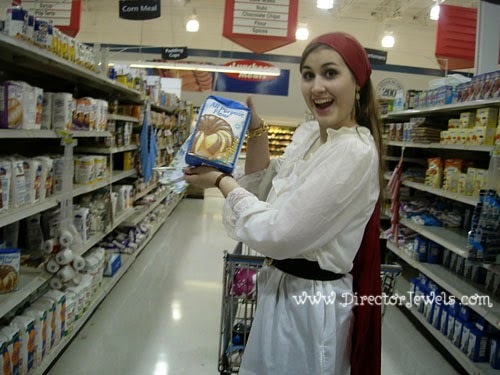 Sometimes, you can just round up some friends, dress everyone as pirates, convince your brother to be "security detail" and just wander the aisles of your local supermarket at 10pm for no other reason that it will be fun. Am I scaring you off yet? It may have been awhile since I have appeared in public in costume, but that doesn't mean I'm not always scheming about an excuse to make it happen. Maybe we'll have a costume day for preschool soon and make it a point to go do something normal while we are all super dressed up. That would for sure be a good memory for the kids, right? Okay, I admit it. Sometimes, people are embarrassed to be seen in public with me. I don't really mind. The memories are so fun! Disclosure: This post is sponsored by BuyCostumes, but all opinions are my own. For more information, you can read my Disclosure Policy. 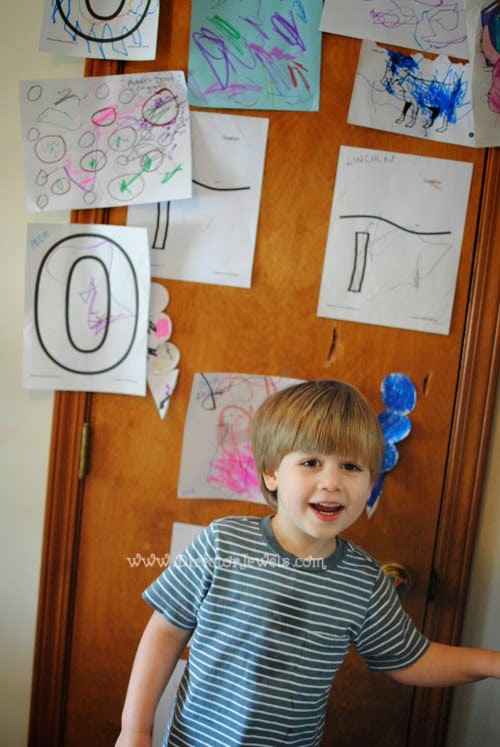 Lincoln - proud of his first week's worth of preschool papers! Addie - All day: "cwuh-der markers! cwuh-der markers!" News flash: Christmas is barely over three months away. THREE. That means there are about two months left before the whole world turns insane and shopping for holiday decorations, food, and gifts will become absolutely ridiculous. I don't know about you, but I never have any desire to take my toddlers to a mall in the midst of the holiday season. It's like a definite way to lose them. So, I want one of you to get a head start at Christmas shopping (or just snagging something awesome for yourself - because you clearly deserve it), and I've joined this fun giveaway for a $50 Amazon Gift Card! The best part: you can wait until December to order and still have something delivered to your door, without the hassle of driving to a crazy store. Win-win, right? 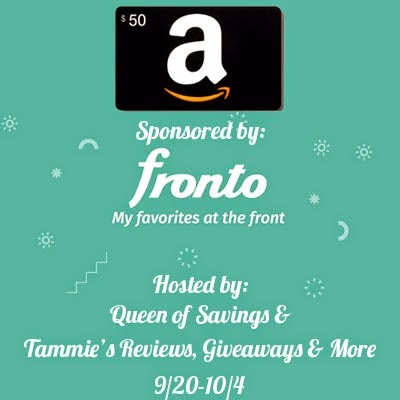 I had never heard of Fronto until this giveaway, but it's pretty cool! Fronto began with a really simple idea: your smartphone screen can be smarter. By revolutionizing the lock screen of your phone, they make brands, news and other important information more accessible. Basically: your lock screen will display advertisements and every time you unlock it, you earn money. Since you are probably unlocking your screen more times per day than you can count, I'd say it's a genius idea. Download fronto for your Android device here. I don't have an Android, but I would totally download this app to give it a try if I did. Every penny counts around here! Disclosure: Director Jewels received no compensation to participate in this giveaway and all opinions expressed are my own. Sometimes, I wish for the simplicity of motherhood in an earlier generation. I'm not saying that our mothers and grandmothers had an easier time than you and I did. I'm pretty sure that moms were just as busy, just as stressed out, and just as concerned that their offspring might kill themselves jumping off the couch. Being a mom is just plain hard, no matter what decade you find yourself becoming a first-time parent. However, there's no denying that life is moving at a much faster pace than it did in earlier times. We as mothers are expected to keep our kids alive and fed, volunteer for school and church functions, host family gatherings and birthday parties, plus all of the other endless, mindless tasks like laundry, dishes, and yard work - while also updating our world of "friends" via social media with our latest feelings, photos, causes to support, and cute stories about our kids. A lot of moms don't get the option to stay home with their kids as I do - but a lot of us who do call homemaking our primary job are still attempting to help increase the family income, whether it's through blogging, direct sales, teaching piano lessons, selling crafts, or any variety of things. And all of those things piled on top of the "normal" responsibilities of being a mom are super, super overwhelming. This is just me being honest, you guys. There are not enough hours in a single day to do all the laundry, clean the sink, wipe down the counter, feed the kids three respectable meals and a "healthy" snack (ie, whatever you have on hand that isn't pure sugar), read fourteen books about a giant red dog, break up arguments about who gets the blue cup with the yellow lid, let them help sweep the floor, change all of the peed-on sheets, write an encouraging blog post and blast social media five times with a variety of interesting and intriguing messages, list five new things on Etsy, sew that dress for your daughter that's been on the kitchen table in pieces for five weeks, figure out where the smell in the kitchen is coming from, pick the melons from the sea of grass and chiggers in the backyard, do an educational preschool craft project, and potty train the two-year-old. It is simply impossible. The sooner we accept that that's okay, the sooner we can begin to appreciate the small things about being a mom. You know - the way your daughter squeezes your neck when you save her from a spiderweb on the dusty piano bench. Or the way your little boy says "hold me up!" when there's a cement truck driving down the street and the view from the couch by the window is not good enough. I don't have any advice on how to get everything done, because to be honest, I have no idea. Most nights I go to sleep thinking that they can't have learned anything positive in the midst of all our day-to-day chaos. I worry that their emotions are being overlooked, that their tummies did not get enough vegetables, and that they sounded like they were snuffly as they finally went to sleep. 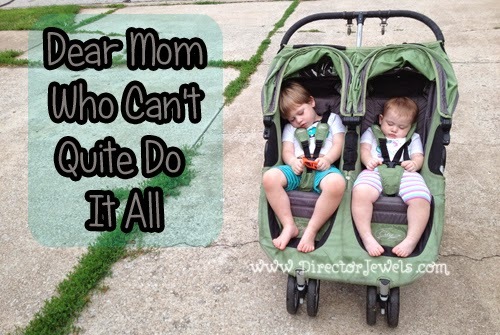 I have a confession for you: this mom who can't quite keep up? It's me. I don't care to admit to you how many times I have recently let my kids watch a movie so the house stays relatively clean while I put away four thousand pieces of clean laundry. A lot of the time, it is just easier to put them in the stroller or their car seats when bedtime comes around since the motion lulls them to sleep without my having to hear whining about which blanket they have or how reading only three books isn't fair. Does anybody else know what I mean when I talk about the extreme sense of relief that overwhelms your soul when those adorable little kids are sound asleep in their beds (or your bed...or the couch...or the car...wherever, really. Just so long as they are asleep)? It's looking like being a mom is just about finding a balance and enjoying the short time you are given to be with your little ones. Some days, you may feel on top of the world and cross thirty-three items off the to-do list - and other days are successful if everyone had on a diaper or underwear for at least 60% of the afternoon. I just want you to know that you're not alone. Take a deep breath. Smell that newborn's neck. Read the Clifford book for the fifteenth time. Teach them how to wipe up pee off the floor, when they were potty training and in the 40% of the time they were without pants. Give them abundant kisses. Pray for wisdom and patience. Let the laundry pile up six feet high. Order takeout if you can afford it, or maybe even if you can't sometimes. Celebrate little moments - because they're actually the big ones, in the long run. It's okay to not do everything. Anyone who tells you that they had a perfect day and did all the things on their list, then took cookies to the neighbors, too...they're either lying or crazy. Either way - tell them next time, those cookies had better show up at your door instead. 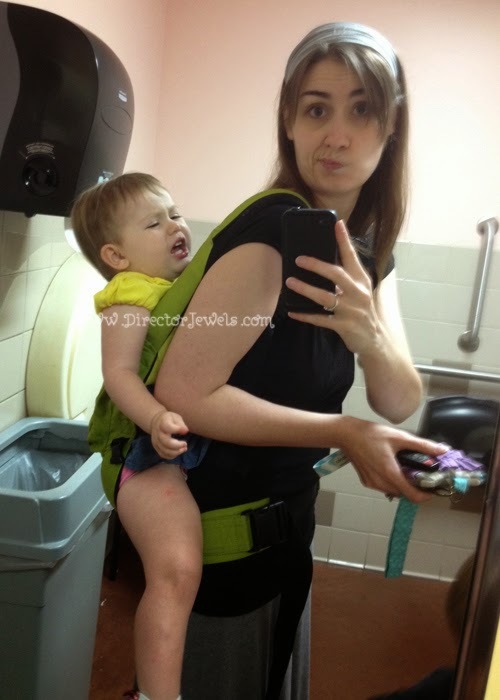 When I first thought about taking my very busy toddler out in public, it was an overwhelming idea. He was a pretty wild little man, uninterested in sitting (or even standing) still for any length of time. Thankfully, now at the ripe old age of three, he is a lot more compliant and even excited to have fantastic family adventures in Kansas City. There are so many amazing places to visit and things to do when you're here with little ones. 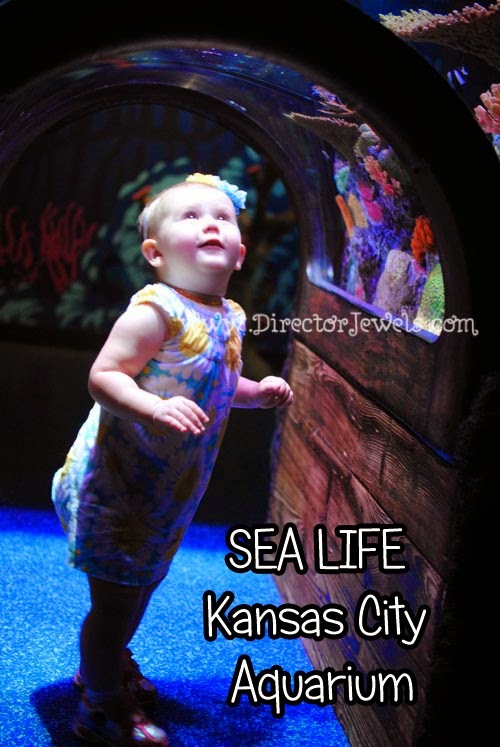 Whether you're on a Kansas City family vacation or just looking for things to do on a rainy day, there's sure to be something that will spark your little one's imagination. 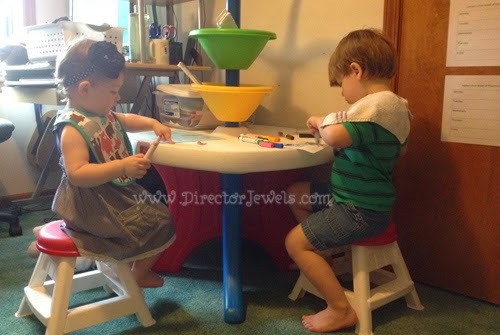 I'm listing a few of our recent favorites below, but if you're looking for more ideas, you can read all my Kansas City posts here at Director Jewels or check out KC Parent (especially for seasonal ideas). 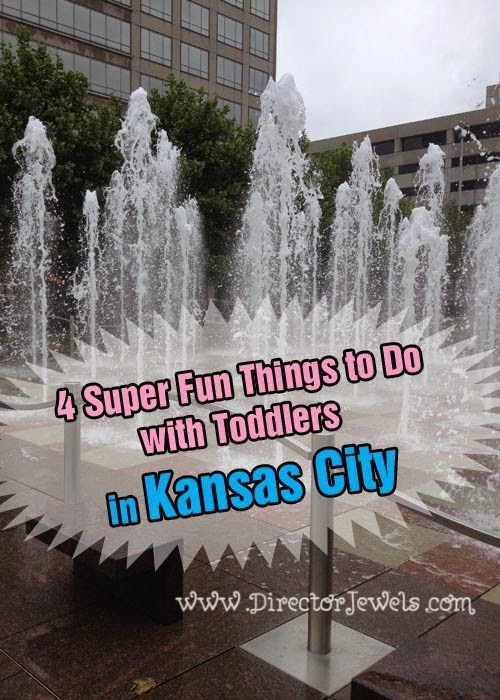 4 Super Fun Things to Do With Toddlers in Kansas City! 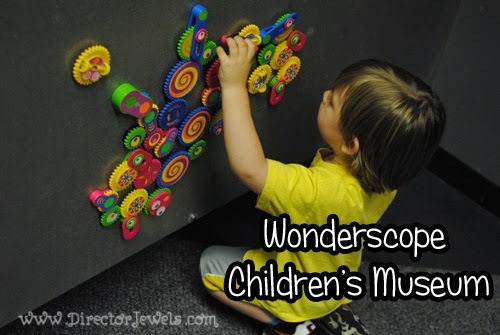 Wonderscope has been the children's museum since I was a kid, and I have great memories of visiting a time or two! Constructed in an old school building, the museum features different areas of exploration - everything from water play to a Farm to Market setup. Our kids ran around for several hours and still had to be dragged away. It may be an older, well-loved museum, but I know we'll be visiting many more times. Our family pass to the KC Zoo is one of my favorite things! 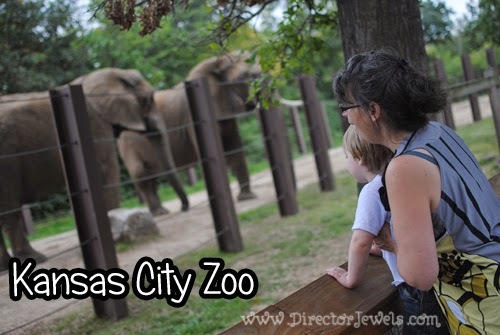 The zoo here in KC is really huge - over 200 acres of land that guests can explore. As you can imagine, that's a lot of ground to cover in one outing and usually winds up creating grumpy kids and stressed-out parents. With our annual pass, we can visit whenever we feel like an adventure and usually only hit one or two zoo sections. We even went to the zoo for Addie's birthday last year. If you're visiting from out of town, I suggest only trying to hit HALF of the zoo's offerings. You'll wind up exhausted otherwise! This amazing little gem is hidden out in Overland Park and somehow escaped my knowledge until the past couple of years. 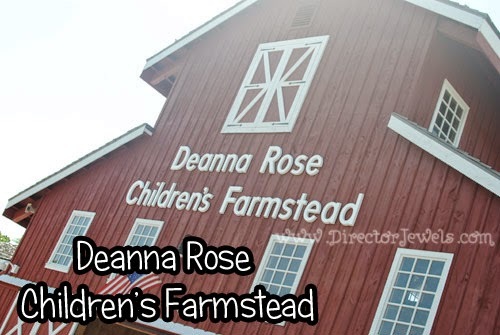 The kids love feeding baby animals, riding mini tractors, and sliding down a barn slide until they literally collapse. We went both this summer and the year before, and I know we'll be there often. Bonus: admission is free Monday-Thursday. This adventure is a little more expensive than the others I mention, but my kids truly love it so I think it's worth including! The variety of fish and other sea creatures at SEA LIFE is just phenomenal. It's well designed for little ones (although side-by-side double strollers aren't allowed) and they frequently offer extras like the Octonauts Meet & Greet. We did an aquarium visit here for Lincoln's third birthday, and it was a blast. I know I've missed a lot of awesome Kansas City adventures in this list, so I am sure I'll have to follow up with another post soon! Leave me a comment with your favorite - maybe I can include it next time! As a homeschooling graduate, I've been kind of thrilled about the idea of homeschooling my own kids for as long as I can remember. Being a second generation homeschool family is cool, you guys. But I have to admit: even the idea of being organized enough to do school every single day scares me to death. I wasn't really sure if I would manage to get my act together to start preschool at home this fall, but I told Andrew I was thinking about it and the amazing man spent a couple of weeks getting everything together for me. Best homeschooling dad ever. Clearly. We are using the brilliant, free ABC Jesus Loves Me preschool curriculum. Lincoln will be doing year 3. Addie is not "officially" participating in preschool, but since she is with us all the time, we're certainly not going to keep her from picking up some knowledge along the way. 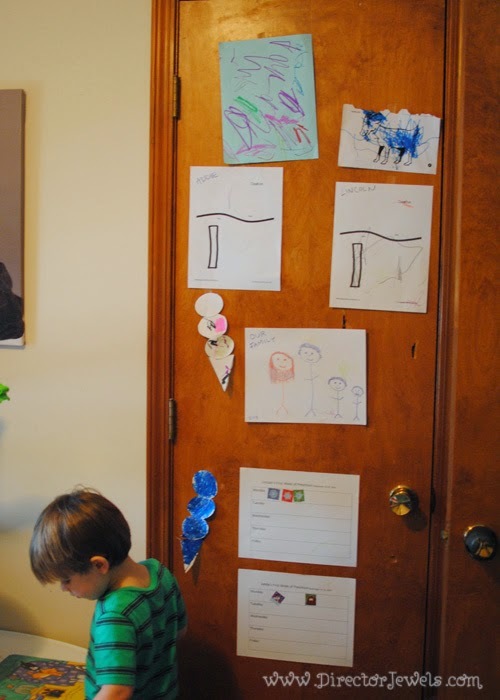 So, on Monday of this week, we took the plunge and started our preschool - and homeschooling - journey! Lincoln was beyond excited. He had watched the stacks of papers and books gather, and knew that we had been working on reorganizing the office "for school." He jumped up on Monday morning and said "today we do school in your OFFICE?!!?!" He even cooperated for the photo shoot, which says a lot. Miss Addie was far more interested in gathering rocks and sticks and rose petals than sitting nicely for a photo for mommy. She also did not want to go inside to the preschool room and sat down on the driveway in refusal. Less than awesome defiance from this one. Yup, I'm the mom who made my kids wear bibs to color with markers. No way that dress of Addie's (brand new) was getting christened in purple. Our day got off to a fun start when they tore into the brand new package of markers and tried to color everything in sight. We managed to keep it contained to their papers and the art table, thankfully. 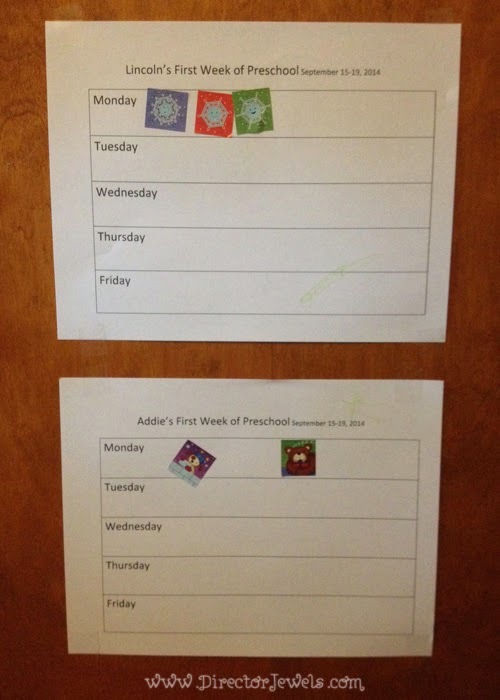 As for the rest of preschool.... Well, we'll just say there's probably a learning curve. Lincoln spent a lot of time wailing because I insisted on helping him use scissors (he's only touched them a couple times before in his life). Addie fussed because she couldn't pull papers down off the door. No one wanted to sing the song of the week and getting them to repeat the Bible verse (Genesis 1:1) was like pulling teeth. But we made it through. They listened to me read Five Little Ducks whether they wanted to or not, heard the song, and eventually (for a sticker) repeated the verse. All in all, I'm not expecting this first week to be remarkable. Our curriculum is for three days each week, so technically today is another preschool day. So far, I'm not motivated to make it happen, but we also have a ton of errands to run this morning - maybe the afternoon will be inspirational. Or maybe I'll just let Daddy do it when he gets home - because on Monday night, everyone cooperated with him! Song singing, verse saying, and book reading was all a game when Daddy was home. What's up with that, offspring? First draft of our sticker reward chart, made hastily while everyone fussed at me. So far, I can confidently say that Lincoln is learning the days of the week and he could probably recite Genesis 1:1 if he were so inclined. It's not much, but I'll take it. 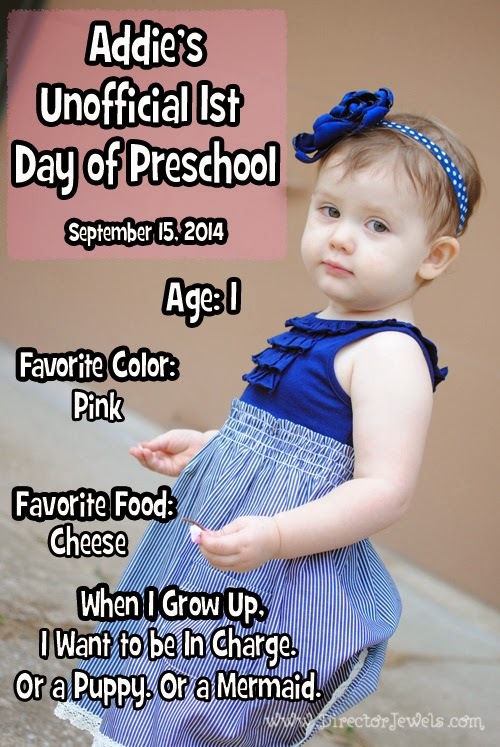 How did your kids like their first week of preschool - whether at home or at school?